High quality training ball specially designed to help with understanding spin in table tennis. The training ball is half white and half orange. 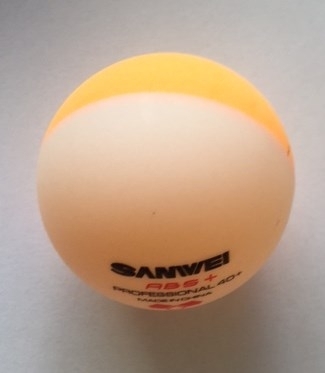 The ball is made of the same high quality ABS material as the regular white Sanwei ABS 40+ 1* Training balls. Excellent training tool when teaching kids and adults about reading spin in table tennis. Ball comes in box of 100 balls. Quantity: 100 balls in a box.